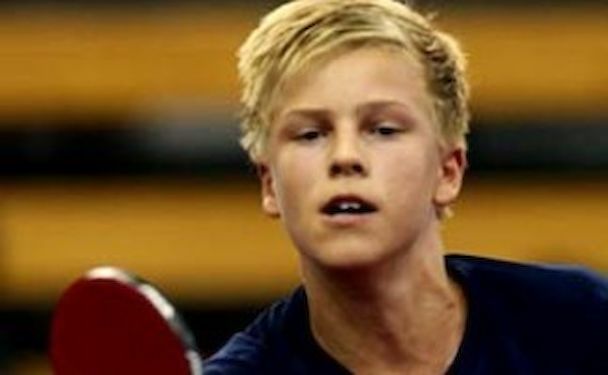 Junior Boy`s Singles, Round of 16: Johan HESSELGREN (Sweden) – Shivansh KUMAR (USA) 4:3 (4:11, 12:10, 11:13, 6:11, 11:5, 11:3, 11:6), Oskar DANIELSSON (Sweden) – Yutaka MATSUBARA (Chile) 4:3 (11:7, 11:7, 9:11, 11:6, 7:11, 6:11, 11:9), Filip KARLSSON (Sweden) – Hanes IWARSSON (Sweden) 4:0 (11:8, 11:4, 11:9, 11:6). Quarter final: Juan LAMADRID (Chile) – Johan HESSELGREN (Sweden) 4:1 (11:6, 14:12, 7:11, 11:9, 11:7), Aaaron WILSON (Trinidad and Tobago) – Oskar DANIELSSON (Sweden) 4:3 (11:13, 11:7, 11:7, 11:8, 9:11, 6:11, 11:3), Livan MARTINEZ (Cuba) – Filip KARLSSON (Sweden) 4:0 (11:4, 11:4, 11:8, 11:9). Junior Boy`s Doubles semi-final: Juan LAMADRID/Yutaka MATSUBARA (Chile) – William APELQVIST/Johan HESSELGREN (Sweden) 3:1 (7:11, 11:9, 13:11, 11:7), Hannes IWARSSON/Filip KARLSSON (Sweden) – Hernando FRANCO/Santiago GONZALEZ (Columbia) 3:1 (11:8, 7:11, 11:8, 11:7). Junior Boy`s Doubles final: Hannes IWARSSON/Filip KARLSSON (Sweden) – Juan LAMADRID/Yutaka MATSUBARA (Chile) 2:3 (9:11, 15:13, 5:11, 11:7, 6:11). Junior Girls` Doubles semi-final: HUANG Yu-Chiao/CHEN Ting-Ting (Chinese Taipei) – LI Yu-Jhun/LIANG Yu-Chieh (Chinese Taipei) 3:1 (11:1, 7:11, 11:8, 11:8), HUANG Yu-Wen/YEN Lin-Chen (Chinese Taipei) – Erica AKERLIND/Anette LUNDH (Sweden) 3:0 (11:8, 11:3, 11:7). Junior Girl`s doubles final: HUANG Yu-Chiao/CHEN Ting-Ting (Chinese Taipei) – HUANG Yu-Wen/YEN Lin-Chen (Chinese Taipei) 3:0 (11:5, 11:9, 11:7).